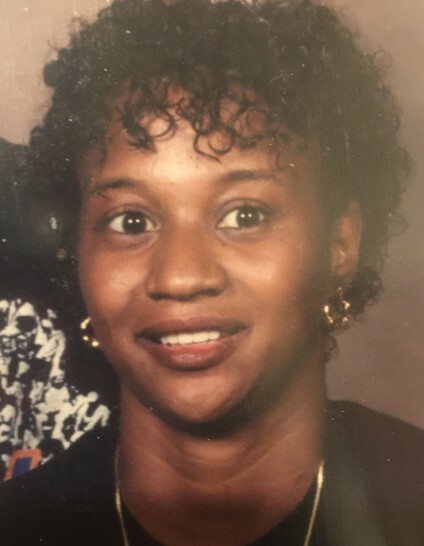 Rita Williams-Payne, 57, departed this life Saturday, February 2, 2019. She was born on July 19, 1961 (the third of four children) to the late Clyde Johnson Evans and Dorothy Williams. She was united in marriage to Henry Payne, Sr. on December 2, 1997. Rita was a fun loving and dedicated person, not only to her family, but everyone she came in contact. She attended Cincinnati Public Schools and loved to cook, listen to her Keith Sweat music, and entertain her family and friends. Rita was strong and did not let her illness stop her from being a good wife, mother and grandmother. To know Rita was to Love Rita. She had her nicknames for her nieces and nephews. She will be remembered for that! Rita leaves to mourn: her loving husband, Henry Payne; four sons, Henry, Jr., Danielle, Ronny and Mike; two brothers, Larry and Timothy; one step-sister, Judith Ann Evans; two step-brothers, Clyde Evans and Adam Evans; seven brother-in-laws, Charles, James, Donald, Ronald, Leroy, Hubert, and Robert; four sister-in-laws, Bessie, Brenda, Linda, and Raena; ten (10) grandchildren, Danielle, Deanna, Deshayla, Dania, Mia, Mikayah , Alannah, Ronny,Jr., Ronell, and Drake Williams; and host of nieces, nephews, loving family and friends. She was preceded in death by one son, Michael D. Williams; and one brother, Franklin Darnell Williams. Visitation will be held at 10:00 a.m. until the time of service on Friday, February 15, 2019 at St. Mark A.M.E Zion Church, 9208 Daly Rd, Cincinnati, Ohio 45231 with funeral service beginning at 11:00 a.m. Interment will take place in the Vine Street Hill Cemetery. Arrangements entrusted to the care of the Jerry W. Kinley Funeral Home.